Camera Critters, Saturday Critters, Shadow Shot Sunday. 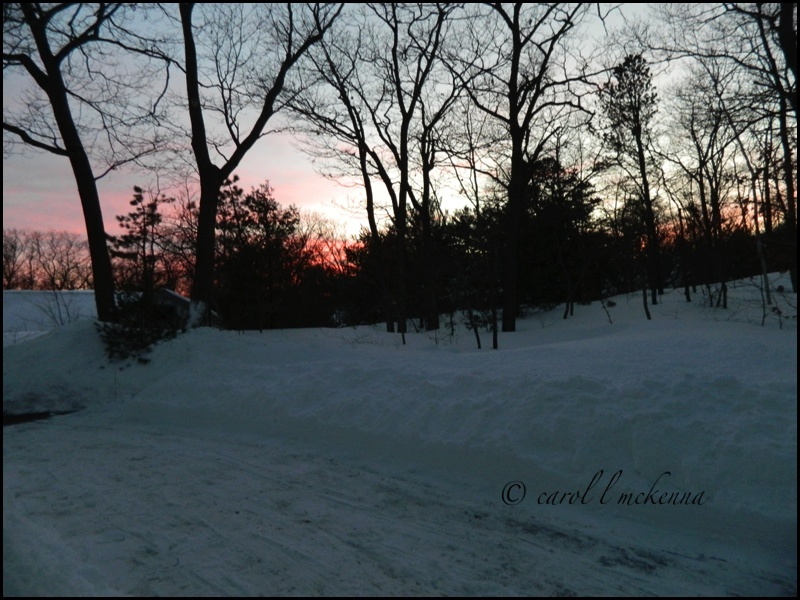 Snow does make for pretty photos on Cape Ann MA ~ Yet have had enough. 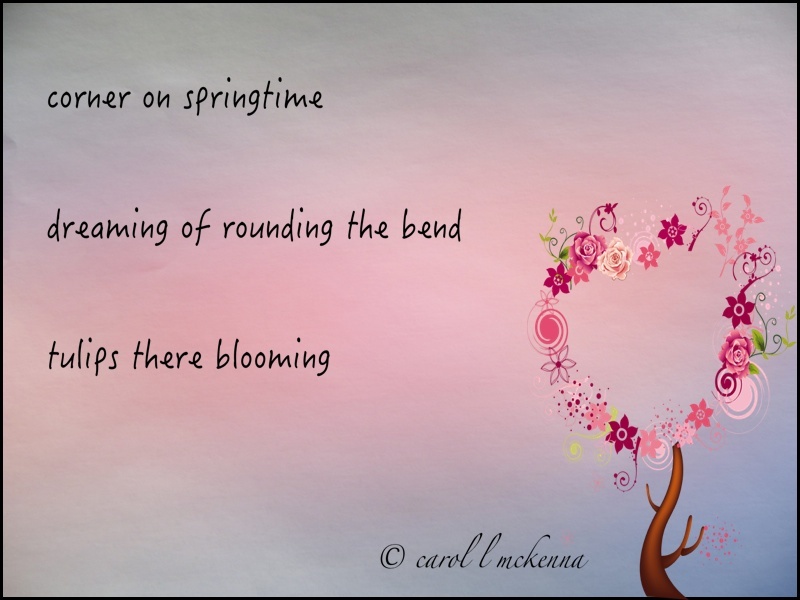 Haiku for Carpe Diem link ~ prompt being: 'corner'. I am really very tired of snow so I am day dreaming about Spring! 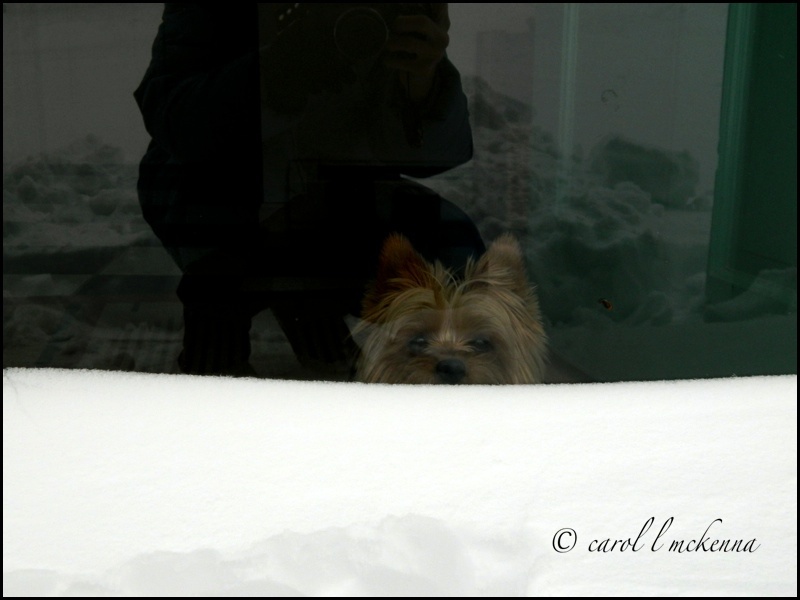 'Me and My Shadow' ~ Little Muse Dog peeking over the snow drift over our door on Cape Ann MA. Another storm ~ blizzard ~ heading our way again through Saturday night and Sunday! Sun going down on Cape Ann MA ~ One of the few sunny late afternoons. Your posted comments are our valentines. thanks. Like your corner haiku! Nice photos. Not a snowflake see this year in my area. lovely photos. I ADORE your "funny valentine"! Love your heart shaped springtime tree. I'm sure you are longing for the next season too as you brace for yet another snow storm and high winds. Do take care and stay warm. Snow scenes always work for me. I love the one of the dog peeking over the snow. Gorgeous pictures. The black and white scene is brilliant. Hello Carol, I am hoping spring is around the corner too. I love your sweet Art Muse doggie. Cute shot of your shadow peeking over the snow.. Lovely images. Thank you for linking up and sharing your post.. Have a happy Valentine's Day weekend! sweet valentine she is! love the b&w with the snow and fence, too! I like your lovely partner. A cute and beautiful one. Offhand, I'd say you all need a break from the snow! I can hear little Muse Dog saying " Go away snow, i want to go out and play". Your muse is a real valentine, aiming to please as well as showing his adoration to you :) Happy Valentine's Day to you! She's so adorable! Happy Valentine's and have a great weekend. Splendid photo and always love the ones of ArtMuse Dog. Beautiful photos. I love that little valentine! Happy Hearts Day! love the Thomas Mann quote! Have a great day! beautiful black and whites!! happy valentines day!!! Happy Valentines Day To You, have a great day! I love these photos on your blog! Top photo is the best for me today, so cute. Art Muse Dog is such a sweet valentine! Oh my gosh, look at all that snow!!! Never in my lifetime have I seen a snow drift in person. I've never seen snow cover the entire ground before! It looks beautiful. It makes me want to launch myself in the air like Superman, but then just land inside it. Yes, I'm jealous of your dog seeing all that snow. Lol! I would love to experience snow like that at least once. (Especially since summers around here are lousy and long). Your Valentine is so beautiful ! How much snow do you have, Carol?! We have 40cm/16" and it's a nice blanket on the sleeping plants. It's the bitter cold that is giving people trouble. Lovely shots! Hope you had a sweet Valentine's Day with your pup. Wow.....that snow drift is impressive! LOL-I get distracted by your sweet baby and neglect to soak in the other lovely images! Since this post, you now have even more snow. So do we, and I hear more is on the way. I don't ever remember having this much in winter! Keep safe and warm! I'm off to look for some more B&W photos for Wednesday's Blog. 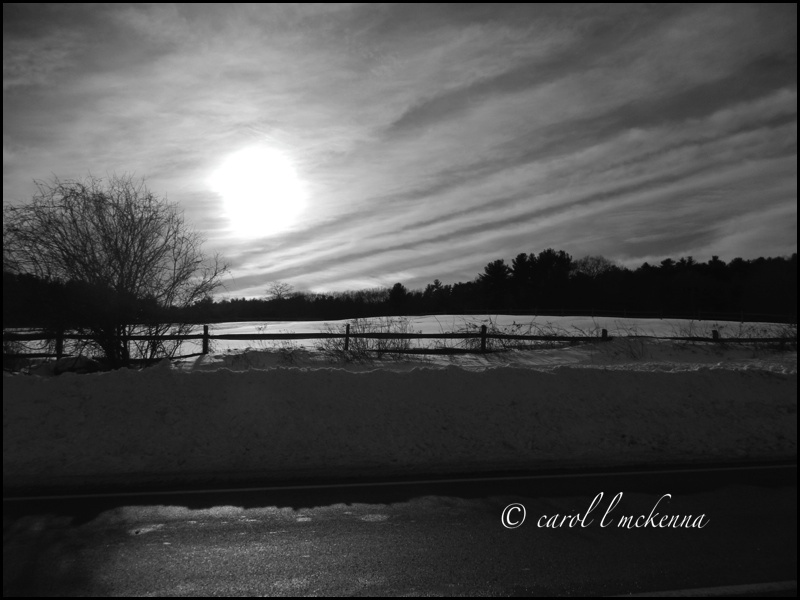 With all this snow, it's pretty easy to find "natural" black and white pictures! 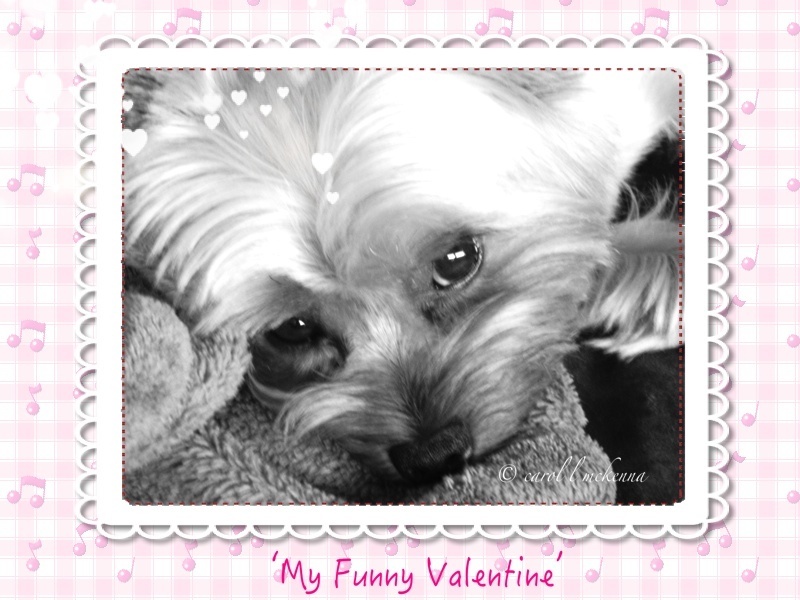 "My Funny Valentine" is so precious! The cutest Valentine ever! lucky you! Wonderful post Carol ... always a joy to visit.